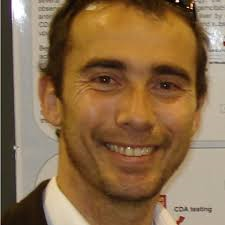 Dr Joseph Ciccolini, PharmD PhD, is Assistant-Professor at Aix-Marseille Univ (Marseille, France) and Clinical Pharmacokineticist at the La Timone University Hospital of Marseille (APHM). Dr Ciccolini is the Group Leader of the Experimental & Translationnal PK Dept of the Pharmacokinetics Laboratory. Non-clinical activities include testing novel combinational therapies and/or innovative modalities of administration (e.g., metronomic chemotherapies, new drug delivery systems), both in vitro and in tumor-bearing animals. Experimental data are generated for the Modeling & Simulation group as part of Mathematical Oncology global project of the CRCM research unit. At the bedside, Dr Ciccolini’s work focus on anticancer drugs pharmacokinetics and pharmacogenetics. This includes developing new adaptive dosing strategies and pharmacogenetic biomarker-based medicine in oncology as a means to optimize the efficacy/toxicity balance of anticancer drugs at in patients with cancer, either in solid tumors and in hematology (i.e., cytotoxics, targeted therapies, biologics).